Disaster and wreckage fans will dig it most. 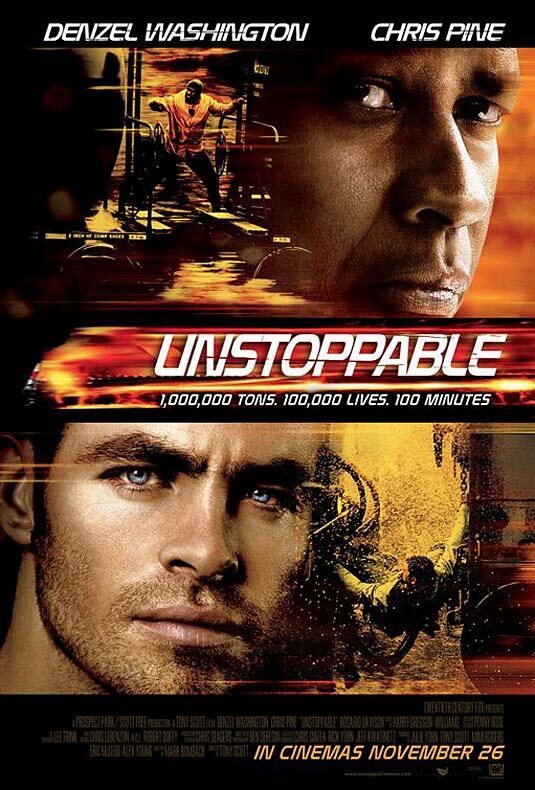 Unstoppable (2010) is a man versus machine action movie grounded in reality, depicting an unmanned full-throttle train with no brakes. 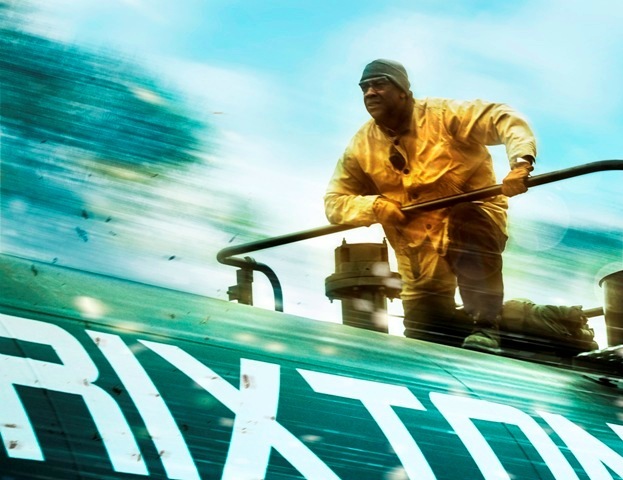 Denzel Washington (“Book of Eli”) and Chris Pine (“Bottle Shock”) are railroad men whom must stop the train before it crosses a dangerous elevated S- curve in Stanton, Pennsylvania. If it hits the curve, the speeding 39-car train carrying highly flammable toxic material will crash and doom the town’s 700,000 population. 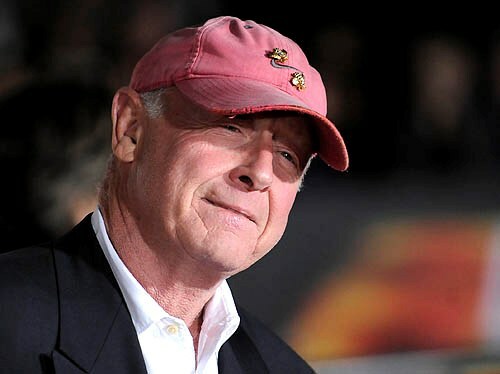 This is the best movie Tony Scott ever made in a career that also included “Enemy of the State” (1998), “Crimson Tide” (1995) and “True Romance” (1993). [Over] discerning movie fans will find that some particular exposition is genre cheeseball, but if you can laugh at it all and still get psyched over the next wave of juggernaut excitement, the results can be hella fun. This isn’t just a train. 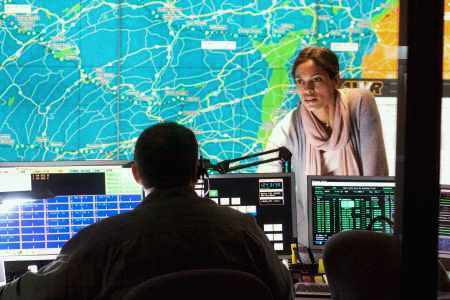 “We’re talking about a missile the size of the Chrysler building,” Connie Hooper (Rosario Dawson) says at dispatch. Frank Barnes (Washington) is the veteran engineer with three decades of experience under his belt. He isn’t running a daycare center. Will Colson (Pine) is the new conductor who was able to slide his way into the job byway of nepotism. Will doesn’t like working at a retirement home. They have their differences. Naturally, friction occurs between man of experience and man of inexperience. Each of them undergoing negligible family problems at home. The alternative ways of commandeering, blockading and hindering the full throttle locomotive lends plenty of danger. Quick solutions are needed to stop the train before it collides head-on with a commuter train full of school children and other prospective casualties. As the worst of disasters becomes imminent, it seems that Barnes and Colson become the last line of defense. Barnes and Colson run their analog train backwards so they can latch onto the runaway train, a feat of tug–of-war. Scott lends the torrent of images a suitable velocity without over editing or over cranking his cameras. Heaps of the action is captured by a helicopter news camera that provides us with cohesive overhead images giving the story mechanics some objective credibility. This was the final movie made by Scott, and the fifth one where he collaborated with star Denzel. Film Cousins: “The General” (1926); “Silver Streak” (1976); “Runaway Train” (1985); “Under Siege 2: Dark Territory” (1995).